We offer an array of beauty treatments for all aspects of your wedding day and for the whole wedding party. Opting to have the right professional makeup artist for your special day is one of the most important decisions you can make when planning your wedding. In your quest to look and feel your very best simply book in for a free consultation with one of our professional makeup artists. Following your pre-wedding trial and consultation we will ensure your makeup is flawless and perfect for the camera whilst letting your natural beauty shine through. All your must-have beauty treatments for the big day under one roof. Relax, put your feet up and let our expert team do the rest! 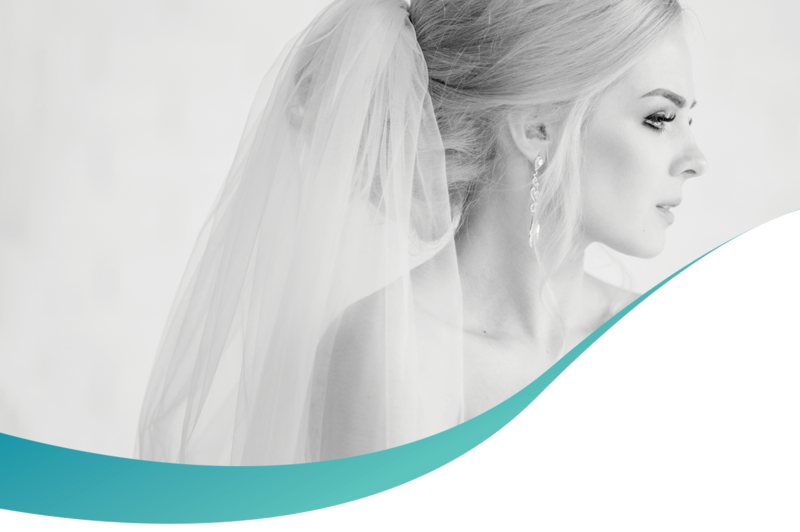 Our specialist bridal hairdressers work together with our makeup artists to ensure the bridal party has the most enjoyable, relaxing experience during both the trial and on the wedding day itself. Opal Rooms use only the best and most experienced hair specialists to ensure your hair looks truly amazing.